Keaton: Instead of leading with the obligatory "why did you write a prison novel" question, I’d like to know how the subject of prison might have altered your writing. Your first two novels are expansive, even global narratives, where the setting of The Mars Room is by its very nature confined and cut off from the larger world. Did this necessitate a different approach for you? How so? Rachel Kushner: I’ll lead off my answer by saying, in response to the question you opted not to ask, that in any case, I do not consider The Mars Room to be a prison novel and instead just a novel-novel. Which renders the question even less obligatory. I see what you mean about the narratives of my first two novels, Telex from Cuba, and The Flamethrowers, being expansive. But, in thinking into why, I’m not sure it’s geographical expansion exactly that makes them that way. In part, sure, but simply writing a book that stretches across time, or space—spanning different countries, etc, isn’t impressive in and of itself, at least not to me. But certainly the first book attempted to dilate what I consider a significant historical moment, the Cuban Revolution, a history with a lot of complicated moving parts. And The Flamethrowers was my homage to art personalities of the 70s and the Italian leftist-autonomist movement, at least, the narrative traversed all this stuff, and even further back, early futurism, modernism, war economies, and the end of manufacturing. I guess that is pretty expansive. But The Mars Room, while certainly “confined” physically in parts, because it’s just these people stuck in an enclosed and brutal institutional setting, is different than the other two books in other ways, too. In any case there are scenes in Los Angeles – a plenty expansive landscape – and scenes in San Francisco from the bygone era of the 1980s, which was when I myself experienced a youth there, but the tones of the book, the language, the whole feel of it, is pulled much more taut than my other two books. The narrator, who has a blunt and direct style of expressing herself. And she has been essentially condemned, and so her tone has, to my ear, a testimonial urgency. She’s not veering into reveries. I was much stricter with myself in this novel. The words and syntax, the paragraphs, are highly managed. I could not use image and scene and a cultural reverie as a component of the structure, which I did a lot of in my first two books, but with this book it was not even a temptation. I had to pan for gold in the bottom of a dark well, and look inside myself, not outside, to figure out how to move forward, and find not just for narrative propulsion but to grasp meaning. Basically I was in a kind of ferocious mood for five continuous years and the narrator, Romy, is an expression of that mood. KP: I recall in a previous interview you mentioning the cover image for The Flamethrowers was actually one of the first pieces of visual inspiration you came across while working on that novel. The cover for The Mars Room is so striking, I have to ask if there is a similar story behind this image as well. What other sources of inspiration and research proved helpful to you while writing? RK: In this case the image came long after the book. My editor had wanted to use a different Nan Goldin image and I proposed this one because the woman in it looks strong, and she’s gazing at herself which I liked, because the gaze bounces back and forth between her and her image in the mirror, and it totally excludes the viewer, which seemed right. In terms of other sources, that’s a big question. Life and memories of San Francisco. Six long years of talking to people serving life, people I still talk to on an almost daily basis. Dostoyevksy proved helpful to me. And so did the work of the filmmaker James Benning, on account of his visual and ethical commitments to California landscapes that are less known, less seen, such as in his “California Trilogy.” In addition, Benning made an artwork about Thoreau and Kazcynski that I was directly inspired by, in that I put them both in the book, and even borrowed James Benning’s decodings of Kaczynski’s diaries, with his blessing. KP: Romy, like every character in The Mars Room, is vibrant, complex and quite damaged. Was she the first character to come into focus for you? In general, do characters or plot push your writing forward? RK: It may sound funny but it never occurred to me she was damaged. Although she does commit a quite brutal act, which the reader only really finds out about near the end of the book, but I don’t claim to understand what it is in her that makes her capable of such brutality. She mostly seems pretty reasonable to me, and also, to be a kind of stoic, which is a quality I have always admired in people a great deal. The first character I thought of was Conan. He was always in the book, even before there was a book. The next character, I believe, was Doc. He came very easily. I’m good at bad people, I guess, although I like Doc quite a lot, even if I gather that other people find him problematic. I don’t know what pushes the writing forward, to be honest, except tone. The tone of a character, and perhaps the unit of the paragraph. But this was a novel that was always going to be inside, and then out, and it was a matter of getting there. But that’s the bigger structure, which does not push writing, exactly. Each scene, voice, moment, pushes forward by its own method. Sorry if that’s a vague answer but I’m trying to express myself honestly and that’s as good as I can do right now. KP: As you brilliantly depict, our prison system is without a doubt brutal and unfairly stacked against the economically disadvantaged in our society. In your opinion, what if anything can be done to reform such a punitive and broken institution? Does literature play a part? RK: I’m not sure it’s a broken system: here, in California, the purpose of the criminal justice system is to incapacitate people that have committed acts of harm, people who, through these acts, present themselves as an extraordinary nuisance to middle class people and must be locked up for the sake of public safety --at least, that is a widely held perception. Our society does not offer a role for everyone: many are totally shut out from even the remotest chance of joining the middle class. Some, from among those many, will commit crimes, and the system’s goal is to control this unruly population. We need massive investments into communities, into people: decent housing, education, good jobs, clean water, real social services, and so on and so forth. We need to redirect the incredible amounts of money that go to caging unproductive people, and instead spend that money to build a society. Just think of all the human potential there is. Every person has potential, but only some get to flourish. Others toil. And yet others crack up and go to prison. I would not myself make a claim for literature, but since you ask, perhaps I’d say that in my ideal vision it would be nice to think that reading a novel could allow someone to experience new thoughts about their fellow humans, and about justice. Perhaps a novel could remind someone that those who have disappeared into prison are also fully complex people, and should not be defined by the worst thing they did, the crime of which they were convicted. But maybe novels could also close certain distances, between those who must live plunged into the criminal justice system, and those who live comfortably without noticing it at all. 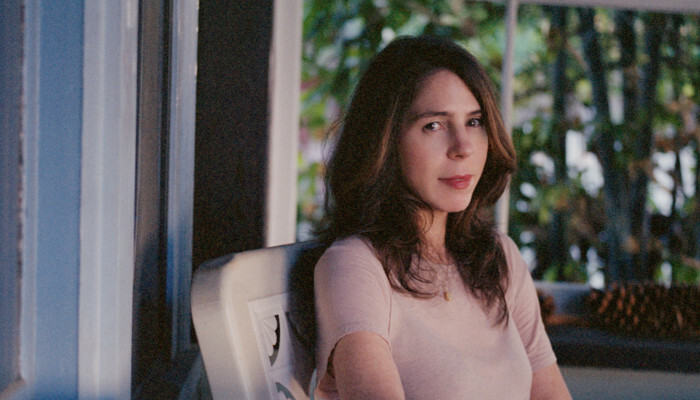 We host Rachel Kushner at Palmer Memorial Episcopal Church on May 24 for her new novel, The Mars Room. Tickets are available here.